Retro Budweiser magnet. 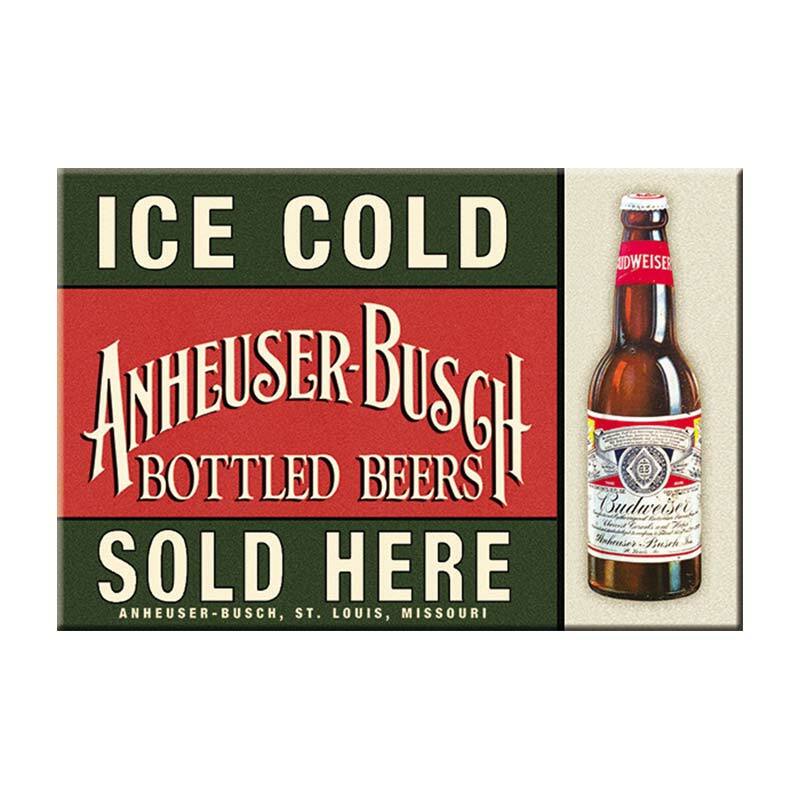 This red and green magnet measures 3 x 2 inches and features a distressed "Anheuser Busch" logo on the front. Officially licensed.